Happy Independence Day and July 4th, America! 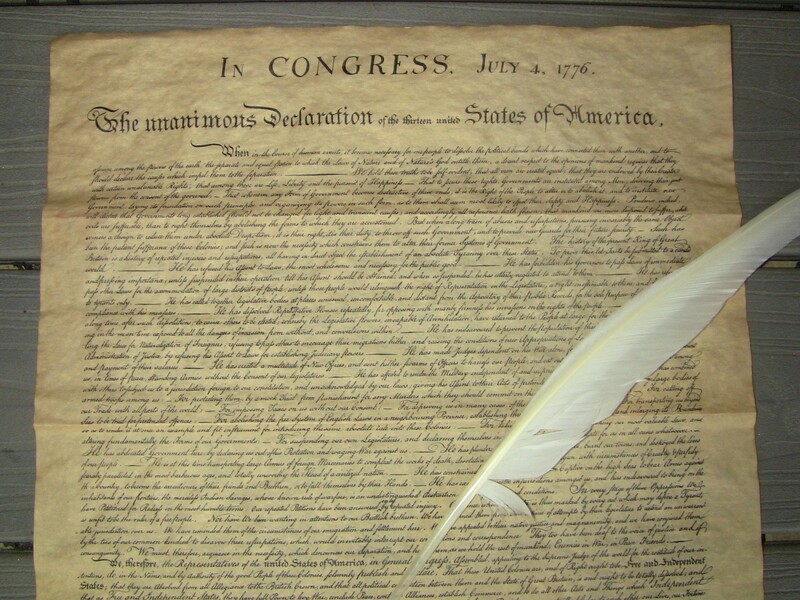 On July 4, 1776, the Second Continental Congress adopted the Thomas Jefferson draft of the Declaration of Independence. On this day, 13 colonies unanimously declared their independence from Great Britain. The Declaration of Independence was signed on August 2, 1776 at Independence Hall in Philadelphia. The historic events later led to the formation of the United States and July 4th as a federal holiday in America. July 4th also is known as Independence Day. Above, a parchment souvenir copy of the Declaration of Independence. The original Declaration of Independence, the Constitution and the Bill of Rights are on display in the Rotunda of the National Archives building in Washington, DC. This entry was posted in Celebrating Holidays, Celebrations and tagged July 4th meaning. Bookmark the permalink.